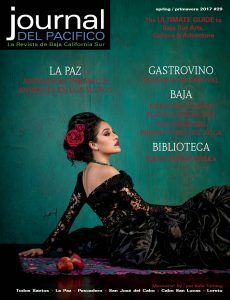 Spring 2013 issue–online and on the streets! We’re already getting rave reviews for the beautiful cover shot of La Balandra Bay by Claude Vogel. 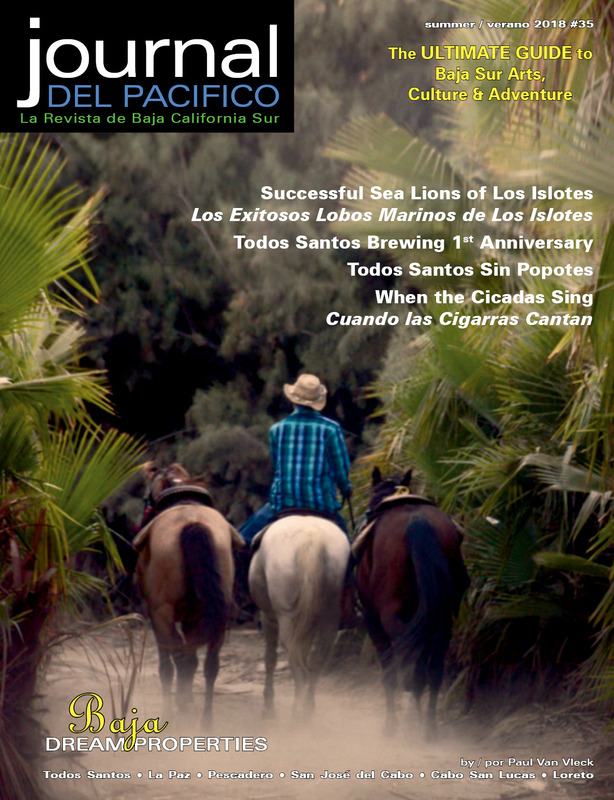 This issue we have a great feature on conservation that focuses on two beautiful areas on each side of the peninsula, La Balandra Bay and Cabo Pulmo. This article is written by Sergio and Bryan Jáuregui of Todos Santos Eco Adventures with photos courtesy of Claude Vogel and Patricia Baum. Claude’s photo books of Baja are available at El Tecolote bookstore and Hotel California in Todos Santos and Allende Books in La Paz. Spanish translations, in this issue, were provided by Elena Ascencio of Todo Ambiente, property management and vacation rentals. Tiny Town is back after a brief hiatus. This issue’s adventure tells of a trip to Copper Canyon with Guillermo Bueron. Guillermo’s next trip to Copper Canyon will be in late April. Toyota Los Cabos and Toyota La Paz make maintenance of your Toyota truck or car easy—they service cars and trucks purchased here AND from the United States and Canada. They speak English and their special service unit can come to you—in Loreto, Santa Rosalia, Ciudad Constitución, Insurgentes, Los Barriles, El Triunfo, Pescadero, San Pedrito, Todos Santos… wow. You can also buy Toyota parts and accessories. White Sand Massage and Day Spa has developed a 35-step sterilized steam vapor, high frequency laser treatment that treats sagging skin, wrinkles, blackheads, acne, thinning hair, and dark circles under eyes. You can see results in just one session–now available exclusively at White Sand Massage located on calle Militar, in downtown Todos Santos. You can view more photos and information at www.whitesandmassage.com/facials.htm Drop-in or call for an appointment (612) 145-0571. Their highly skilled trained technicians are available 7 days a week from 10 am to 6 pm. The weather is heating up and thoughts are turning to a refreshing dip in the pool. Torres Architecture can design and build your saline or chlorine pool. After a day at the beach, enjoy an Italian style pizza fresh from the wood oven at Brody’s Pizza on the road to Los Cerritos in Pescadero. Las Palmas Restaurant, next to Baja Bean in Pescadero, is open for breakfast and lunch Tuesday through Sunday from 8 am to 4 pm. Hurricane season is around the corner. Protect your windows, doors and home interior with Baja Hurricane Screens. The angled installation provides an air buffer to protect glass from flying debris and prevents 80% of driven rain from striking the glass. The stainless steel anchors and fittings provide maintenance-free, long term anchoring in a coastal marine air environment. They also come with a 10 year non-prorated warranty. Welcome back to all of you who escaped the summer heat. This past summer has been one of our rainiest in years and the desert is in bloom! We’re already getting lots of positive comments on our night cover shot of one of the beaches at Rancho Las Cruces by Kamal Schramm Rodriguez. Pescadero Properties has moved to a new location in the heart of downtown Todos Santos—Plaza Antigua, upstairs in Local #9. You can still reach Roc at the same email and phone numbers. Raquel and Frimar accounting have also moved to Galeria “A” at calles Centenario and Hidalgo. 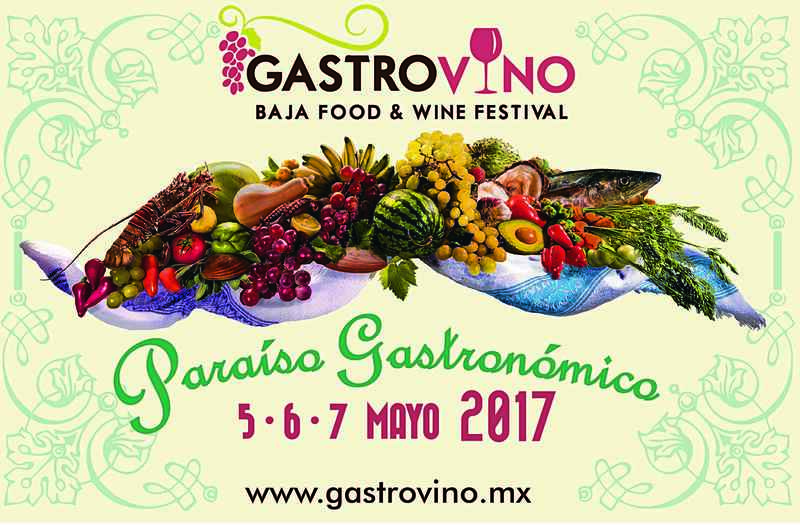 Coming soon in Todos Santos—The Distillery offering artisan spirits, beer, wine, food tours, tastings and takeout. The Distillery is located next door to La Bodega de Todos Santos on calle Hidalgo. Tortugueros Las Playitas sea turtle hatchling release program will begin November 15 in Las Tunas. The new incubation greenhouse is located on the beach between Calle Los Mangos and Camino Internacional. There will be daily releases, open to the public and free of charge, at sunset through January. 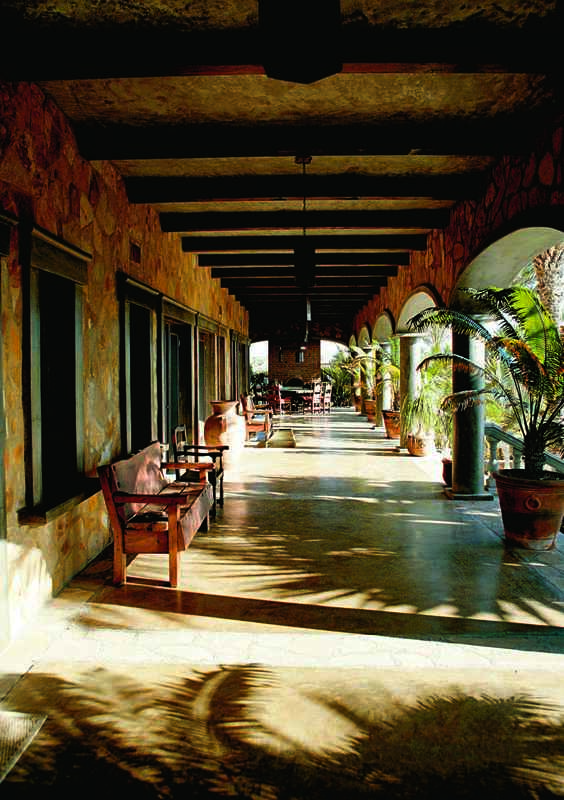 Hotel Casa Tota and Restaurant La Santeña celebrate their one year anniversary on November 17. ¡Felicidades! PHairy Godmother Hair Designs by Robin Austin will be at Pura Vida Health Food Store & Deli in November offering haircuts, color, and styling. For over 20 years, Robin Austin has done 100’s of professional weddings and formal hair and is well known for her excellence, precision, and customer 100 percent satisfaction guarantee approach. email: PHairyGodMother@aol.com tel. (612) 145-0471. Shut Up Frank’s, the local hangout in Todos Santos for 20 years, has four HD TV’s showing all NFL and NHL games along with UFC and boxing. On Monday nights watch the game and enjoy “all you can eat” spaghetti. 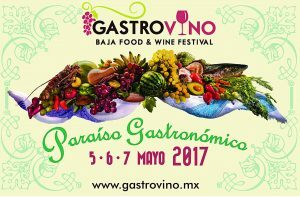 Their menu includes the best burger in Baja along with wings, specialty salads, fish and chips and more. Check with Steve for their live music and karaoke schedules. 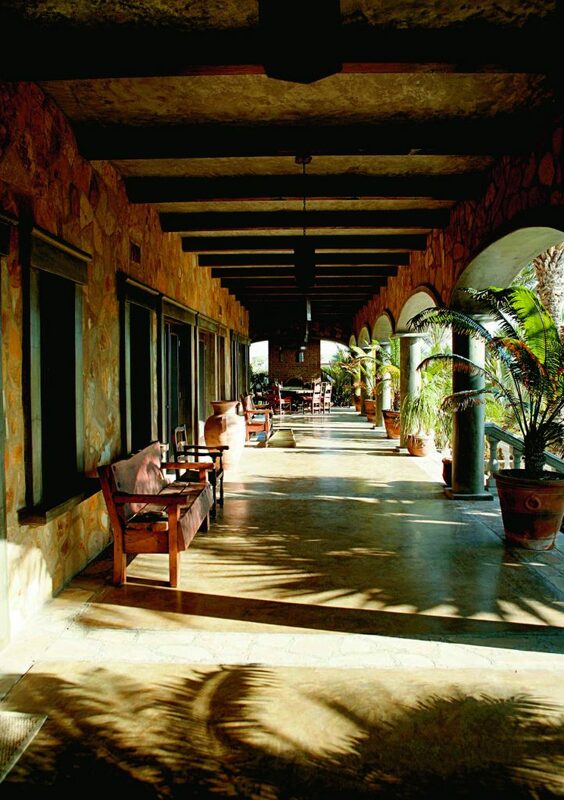 Rancho Pescadero and Chef Bueno will welcome Chefs Kelly Liken and Tim Goodell for a weekend of food, wine, and much more November 29 – December 2. See Workshop and or call Rancho Pescadero for more information. Visit the Cerritos Beach Brewing Company in Pescadero for good times, great beer and live music. They also serve up homemade root beer and hearty sandwiches and salads. Stop in for a cold beer, game of pool or play board games. Como El Sol is now located in El Pescadero at the Plaza San Antonio, local #6, at the south side of the entrance to Pescadero. Adam is happy to help you with all your solar energy needs. 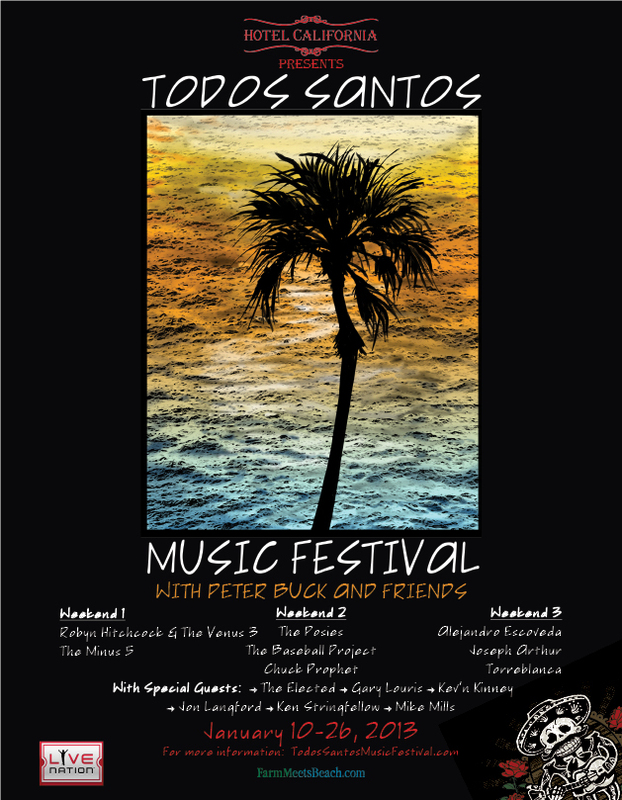 Mark your calendar, the Hotel California will present the second Todos Santos Music Festival January 10 through 26, 2013 benefiting the Palapa Society of Todos Santos, A.C. R.E.M. guitarist Peter Buck has hand-picked this year’s lineup of artists. 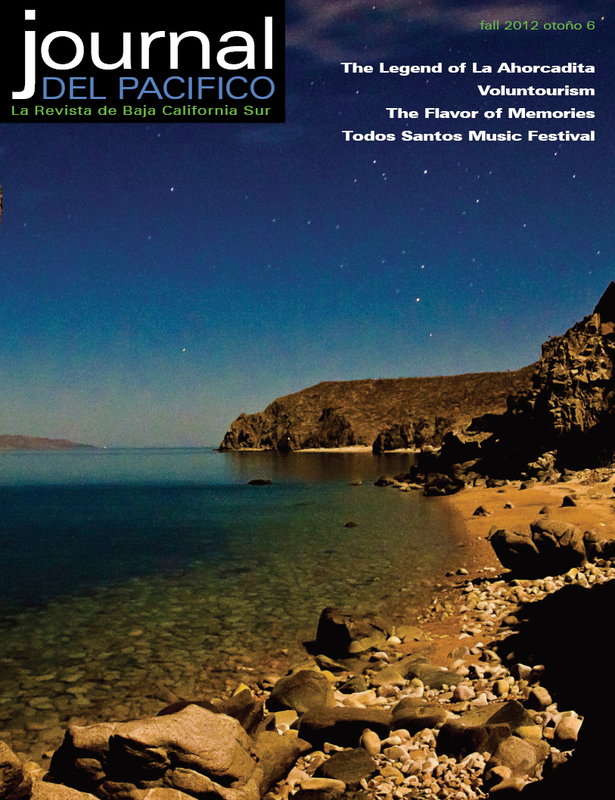 Visit TodosSantosMusicFestival.com to reserve your ticket today! The La Paz Reggae Fest takes place December 1 at San Pedrito Beach. Doors open at 10 am for a full day of music, with camping available too! La Paz band Riddim Forz welcomes reggae musicians from Jamaica, England, Mexico City, Guadalajara and Baja California Sur. Also, special guests Wheatbread Johnson and Terry Townson. See ‘Events’ for more information. 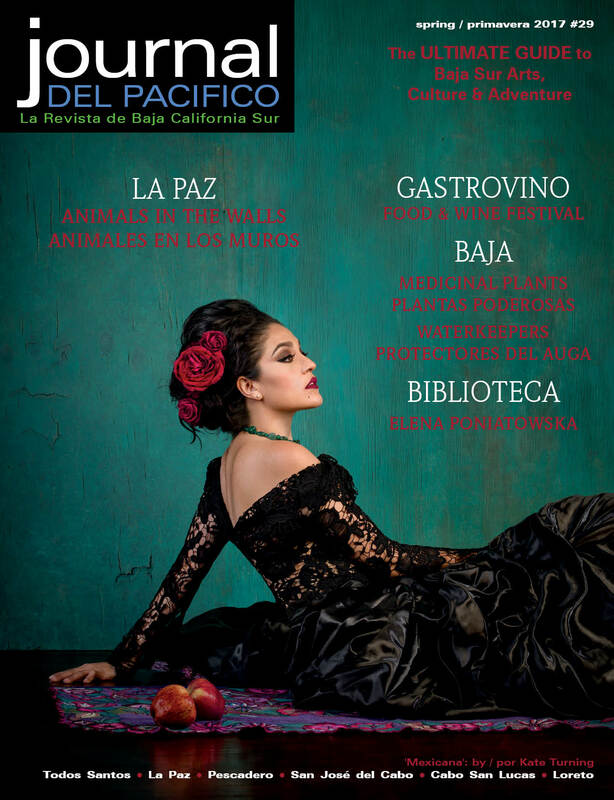 November 1st is the deadline for our big Holiday issue with exclusive Todos Santos Music Festival interviews, Whale watching adventures and more!